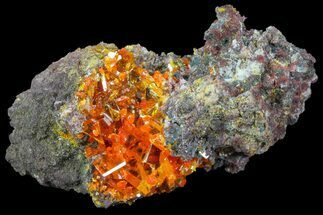 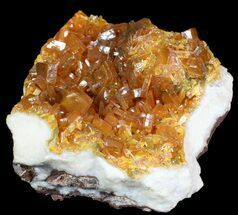 This specimen contains an orange wulfenite crystal with small amounts of attached matrix. 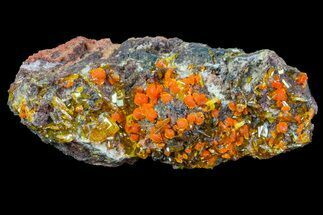 The wulfenite crystal is relatively sturdy and slightly translucent. 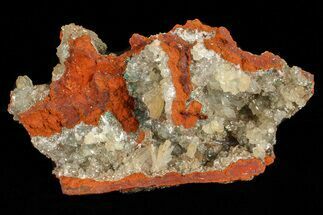 This specimen was collected from the San Francisco Mine in Sonora, Mexico. 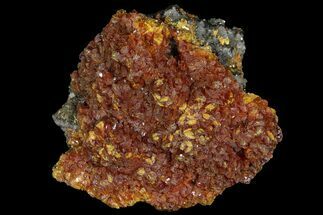 Wulfenite is a lead based, molybdate mineral with a chemical formula Pb(MoO4). 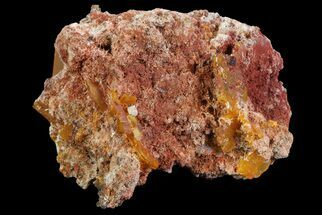 It forms as a secondary mineral in the oxidation zones of hydrothermal lead deposits, with coloring ranging anywhere between yellow to bright orange and red, and occasionally brown. 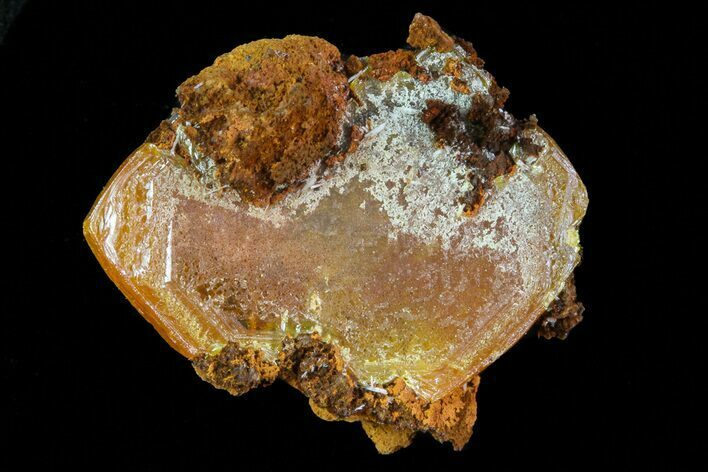 Typically forming as tabular, stubby or pyramidal crystals, this unique mineral can be both brilliantly transparent and opaque.